The State Championships aren’t the most exciting competitions in the world until the final rounds, but let me tell you what happened anyway. I’ve debated the merits of the state championships on this blog before. I’m not the biggest fan, although many Brazilians love them. Things they’ve got going for them: they provide smaller clubs the opportunity to play bigger clubs; they throw up some of the fiercest local derbies in world football; they settle local bragging rights; they have history and tradition. Another reason occurred to me last night: that they give fans and punters like me the chance to see how each new clubs new signings are settling in. In last night’s match between Palmeiras and São Paulo – which I watched about 30 minutes of via streaming function on betting app on my phone – I got to assess how São Paulo’s new signings are settling in; Valdivia isn’t doing too well by the looks of things and their new goalkeeper Jean seems a little disappointed that they don’t let him take free kicks. Another expensive signing Diego Souza wasn’t even on the pitch. I did get a glimpse of one of Brazil’s most promising youngsters, Brenner, though. Well, it really was just a glimpse because Palmeiras had the ball near São Paulo’s goal for most of the game and Brenner was ploughing a lone furrow up front for São Paulo. I also got to see how Borja, Antonio Carlos and Felipe Melo all seem to have found a new lease of life at Palmeiras this year. And that their new signing Lucas Lima, who they got on a free transfer from Santos, is settling in just fine. 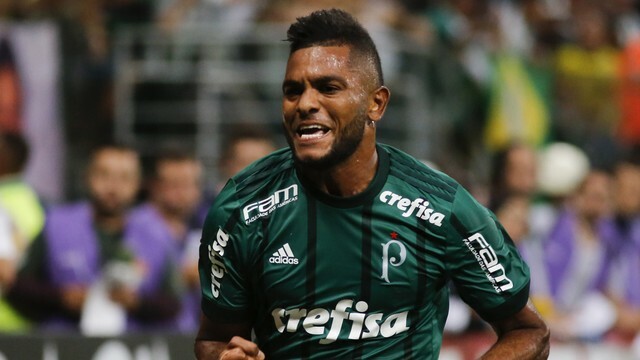 As it happens, Palmeiras won the match 2 – 0, with goals from Borja and Antonio Carlos coming while I was watching in the first half. Palmeiras looked much better than São Paulo, who have been struggling for the whole of the state championship campaign, and for most of last year. As I mentioned on here last week, they showed their class against Junior Barranquila in the Copa Libertadores by winning 3 -0 away from home. Not all of their fans were happy with that performance, but I think that they would have been pleased last night. And from what I saw, they definitely have one of the strongest teams in Brazil. Despite being given an early season glimpse of how these two teams are evolving, I’m still not the biggest fan of the state championships and I would shorten them since they clutter an already-overcrowded fixture list. I will leave that discussion for another day though. For more on the state championships and how they work, click here to see the short primer on this blog. Last night’s result means that São Paulo do need to get a result against RBB this Sunday to gaurantee a spot in the knockout phase of the competition. Elsewhere, Corinthians beat Mirassol thanks to a great goal from substitute Emerson Sheikh. Santos lost against minnows Novorizontino, who secured themselves a spot in the knockout phase of the competition. In Rio, Vasco and Fluminense played out a boring 0 – 0 draw, while Flamengo beat Boavista 3-0 away from home and welcomed back Julio Cesar. Julio Cesar played for the Flamengo for eight years before moving to Europe where he played for the likes of Inter Milan and Benfica. Its a strange signing though since they already have another seleção keeper, Diego Alves, in their squad. In Rio Grande do Sul, talented midfielder Arthur made his comeback from injury for Grêmio, as they beat a team called São Paulo (the São Paulo from that state, not the one mentioned above). Sadly, this gameweek was marred by violence inside and outside some stadiums. In the match between Sport and Santa Cruz in Recife, fighting in the away end led to a stampede and hundreds of fans fell over. Police entered the section with pepper spray to try and calm things down and help the injured victims, although its not clear if that helped. A total of 60 fans were injured, 25 of them taken to hospital. Shockingly, the match continued, while ambulances where driving in and out of the stadium. Meanwhile, in the state of Alagoas, the coach carrying CRB players was attacked by fans. Two players were injured. This entry was posted in State Championships and tagged Palmeiras, São Paulo, Stadium violence by Brian Davidson. Bookmark the permalink.